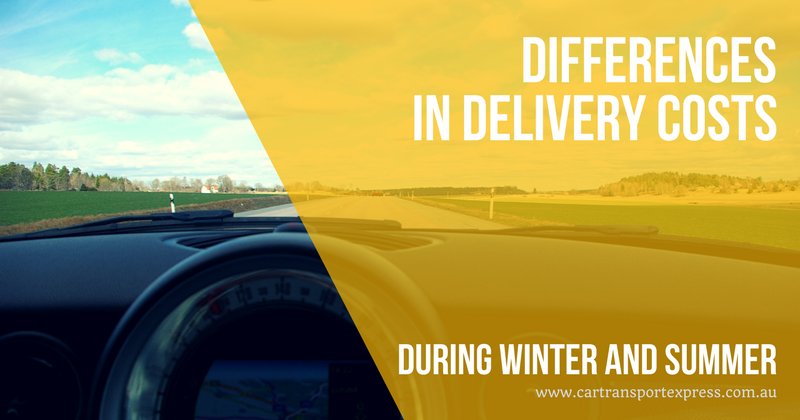 Did you know that your car transport cost is affected by the seasons? When shipping your car, seasons could either make you spend some more or save you some cash. You can make a schedule after understanding why there is a difference in cost when shipping your car and avoid spending more than your alloyed money. Getting familiar with the change in the season not only enables you to make your budget work but it also helps you to avoid extreme conditions that could likely lead your vehicles into accidents while on the road and postpone the shipping until transport is possible. In major cities, the cost of transporting a car could be more expensive. Though some might argue about this observation, Consumer research has to disagree. There are more car shipping companies that charge higher when summer hits the year. The research says that the cost of car transfer in the summer could reach up to $200-$300 due to varying factors like an increase in demand. The season is also suitable for travelling with children. When demand goes higher than the supply, the prices go up, hence, a costly car shipping. Here’s one reason why seasons affect shipping fees: vehicles transported during winter is advised for enclosed shipping. This type of car transport is a premium service in which most vehicle owners are excluded. You just have to wait up till the weather clears up if you can’t afford this type of service. The less demand for winter pushes for reduced prices for regular shipping. Now you see one reason why the demand during summer is high. It is also the season when there are just a few disruptions during transport. Companies differ in prices. Most companies that take this opportunity are the small and new ones which mean that they may not have a significant increase in the summer. During winter, most people choose the warmer areas making the routes here higher. The transport companies take advantage of this and increase the cost of car shipping. Winter tends to be a season where we experience a lot of bumps in the road and snowy, too. This makes it difficult to transport and secure the cars. The trailer will be hard to maneuver with poor road visibility. As a precaution, the drive would have to slow down making the transport a slow process. Not all drivers can adjust to these conditions. In fact, oversized vehicles are not allowed on the road after sunset. Winters tend to have shorter days than summer giving the driver only a few hours for transporting the cars than summer. This makes the winter slower, too. Roads even become inaccessible due to the weather conditions affecting the road like too much ice or snow. The cost of car transport should be considered, especially, when you plan on having one and on a tight budget. The cost could make a difference.